Despite speculation that Pyongyang intends to conduct its fourth long-range rocket launch on the 70th anniversary of the founding of the Workers’ Party of Korea in October, with less than two months to go, recent commercial satellite imagery still shows no signs of launch preparations. As of mid-August, a rail-mounted structure, intended to transport the space launch vehicle (SLV) stages and other equipment from a new processing building on the launch pad to the gantry tower has been completed and aligned with that building. Whether that activity is related to continued work to complete the structures—such as installing equipment inside and checking out the buildings—or launch preparations remains unclear. 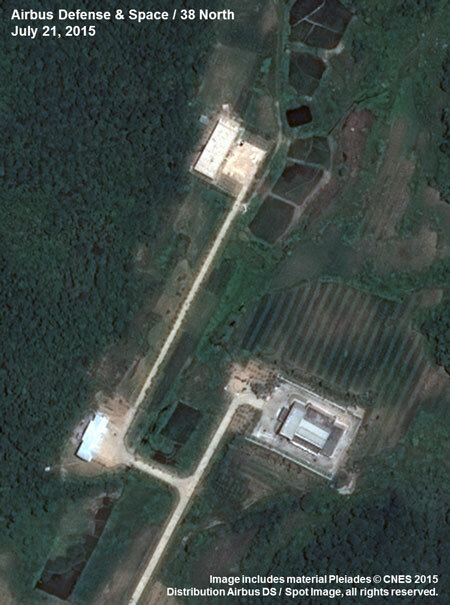 While there are no visible indicators of launch preparations at the rest of the Sohae Satellite Launching Station—such as a general increase in the level of activity—if Pyongyang were to decide to move forward with a long-range SLV test and the new facilities were not yet fully operational, the North could still utilize existing facilities to support a launch. 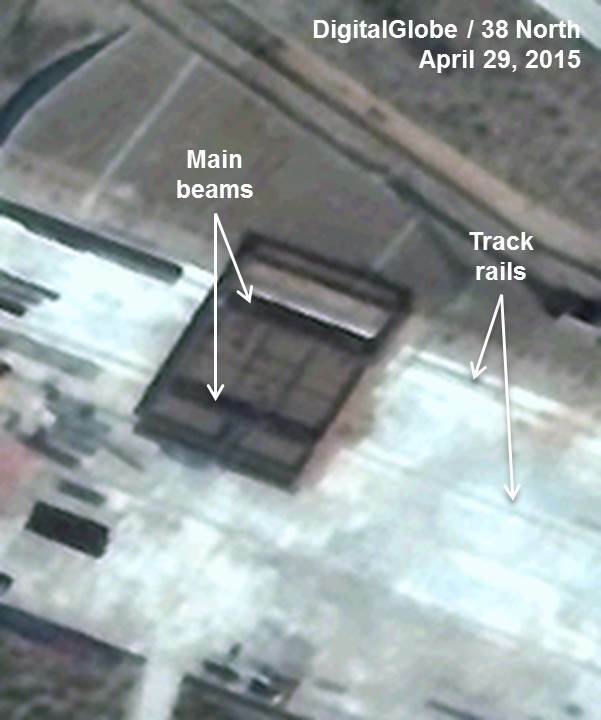 One significant objective of North Korean construction efforts during the past eight months has been to degrade the ability of outsiders to monitor launch preparations through the building of a covered rail station, an underground rail spur to the launch pad and the movable processing structure that would receive deliveries from that spur. Aside from making it more difficult to gather information on Pyongyang’s SLVs and test preparations, these activities may also reduce the amount of warning time that an SLV launch is about to take place. Recent imagery also indicates that the North Koreans have conducted an engine test at the vertical engine test stand since late July. Moreover, they are installing two new, larger, storage buildings for fuel and oxidizer. When complete, they will provide more than double the storage capacity of the existing structures, suggesting that the North Koreans are developing a capability to test larger, more capable engines. 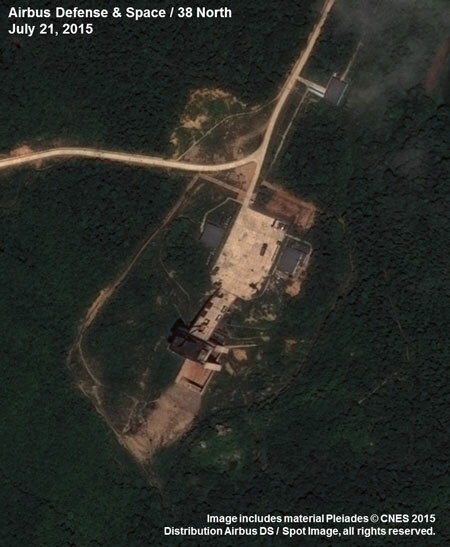 Recent commercial satellite imagery of the Sohae Satellite Launching Station (“Tongchang-ri”) shows no discernable activity at the launch pad and gantry tower that would indicate preparations for an upcoming launch. However, since last viewed in late July, the movable rail-mounted processing structure has shifted to the east end of the pad and has been aligned with the launch support building. The structure also covers the opening to the underground rail spur that will presumably be used to deliver the SLV stages and other related equipment to the pad in case of a launch. 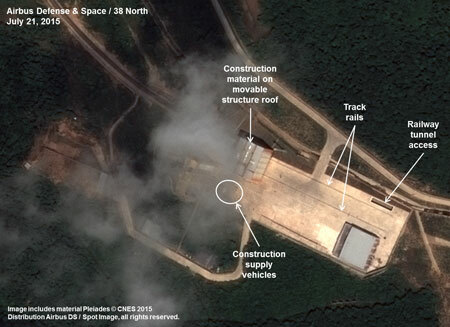 While the movable structure and launch support building are externally complete and appear able to support an upcoming launch, a key unknown is whether the North Koreans have finished interior work at the buildings such as installing lighting, ventilation, cabling, instrumentation and other equipment essential for launch preparation operations. However, even if the structures are not fully complete, older facilities at the site could still support preparations for a launch just as they have done in the past. During July and August 2015, construction efforts focused on the movable transfer structure. (Figure 1 shows that the roof is complete.) The function of this structure appears to be to hoist SLV components from the railcar positioned in the tunnel portal, move them to the launch preparation building for unpacking and checkout, and provide transport to the gantry tower. The structure rides on a pair of rails between the gantry and the launch preparation building. The late July image shows the movable structure near the gantry tower so its crane could be used to hoist building material to the roof from construction supply vehicles below. By August 13, roof construction appears complete, and the movable structure is now adjacent to the launch preparation building. The most notable feature on the movable transfer building’s roof is what appears to be a truss structure. Not only does that structure support the weight of the roof but it likely also supports an overhead crane to move SLV components and a possible roll up door mechanism to allow ingress and egress. Figure 1. 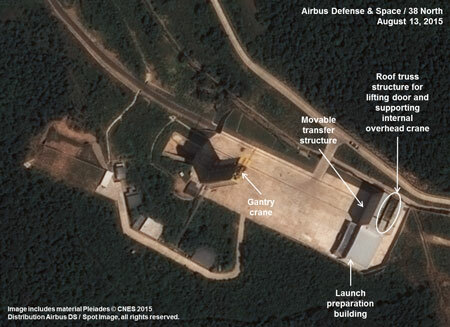 Activity at the Sohae Launch Pad. It appears the movable transfer structure will operate as follows. Figure 2, taken in April 2015 shows construction of the movable base. Motorized wheels support two main beams that carry the weight of the whole structure. Instead of an internal grid, the beams connect to the frame around its perimeter. This indicates that the inside of the movable transfer structure is mostly open to facilitate handling SLV components inside. The walls therefore support its roof carried by the pair of trusses. Figure 2. Movable transport structure base under construction. 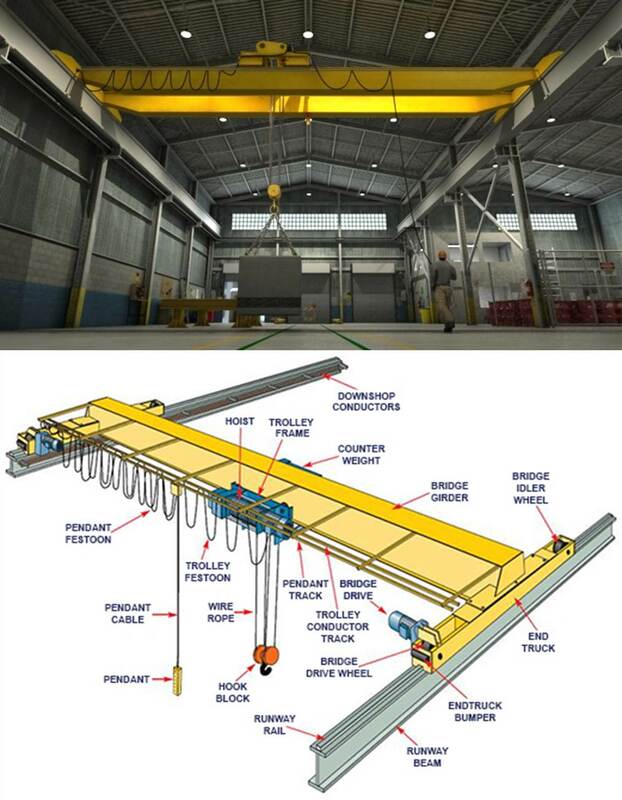 The interior of the movable transfer structure requires an overhead crane to hoist and move SLV components (figure 3). The crane’s runway rails would be attached to the parallel trusses above to obtain the necessary support. This design enables the lifting and moving of large heavy objects in the open area within. Figure 3. Example of a probable overhead crane inside movable structure. Additionally, it is likely that the movable transfer structure design incorporates roll up doors that open to the roof to provide gantry crane access to the SLV components within so it can transfer them to the launch tower. Figure 4 shows the probable location of the roll up door and its spooler on the movable transfer structure. Note that the location provides the shortest distance to where the SLV would be on the launch pad. Figure 5 shows that roll up doors can be quite large and indicates how its spooler operates. In figure 4, the spooler appears to be attached directly to the trusses to take the load as it should be. Figure 4. Probable location of roll up door and spooler. Figure 5. Example of roll up door size and functionality. 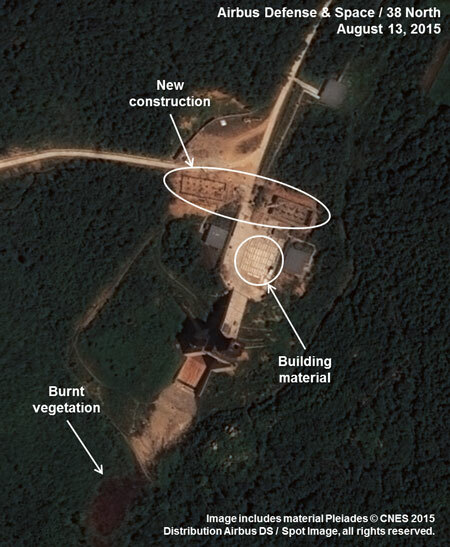 Recent imagery indicates new activities at the vertical engine test stand that, while not related to a possible upcoming launch in October, are important indicators of the future direction of North Korea’s long-range SLV program. 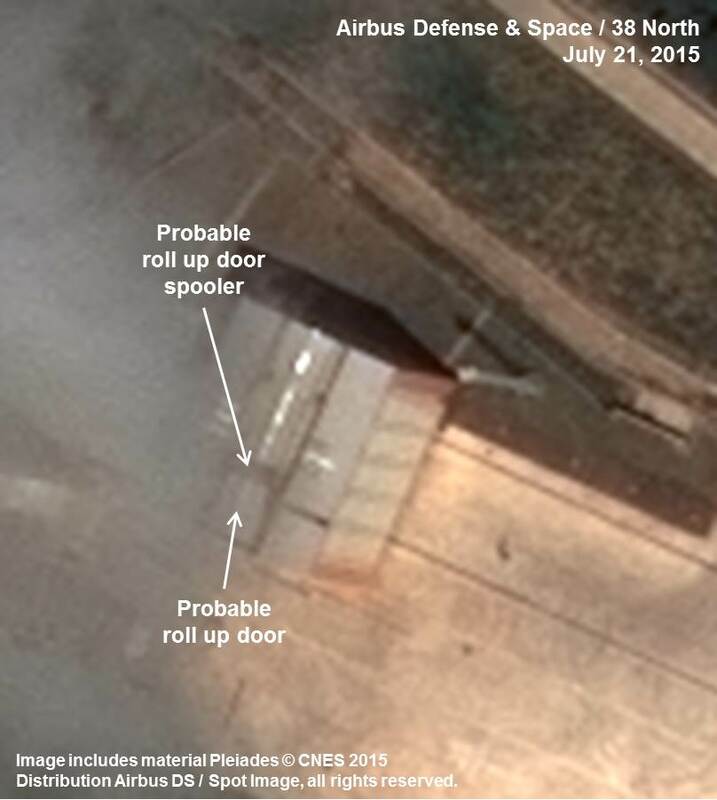 First, the August 13 imagery indicates that since the site was last viewed in late July, North Korea has conduced at least one SLV engine test. Additional scarring is visible in the exhaust deflector as is an oblong patch of burnt vegetation measuring about 60 meters long by 27 meters wide immediately south/southwest of and in line with the deflector. Second, preliminary construction on the northeast corner of the test pad’s concrete apron seen in late July now appears to be one of two new, larger, storage buildings for rocket fuel and oxidizer—the second located in the northwest corner. Each of the new buildings measures approximately 30 meters by 13 meters. When complete, they will provide more than double the storage capacity of the existing structures, suggesting that the North Koreans are developing a capability to test larger, more capable engines. Work continues as several vehicles probably related to construction are in the area as is what appear to be a number of pre-formed concrete structural members neatly laid out on the apron. Figure 6. Evidence of engine test and new construction at the engine test stand. 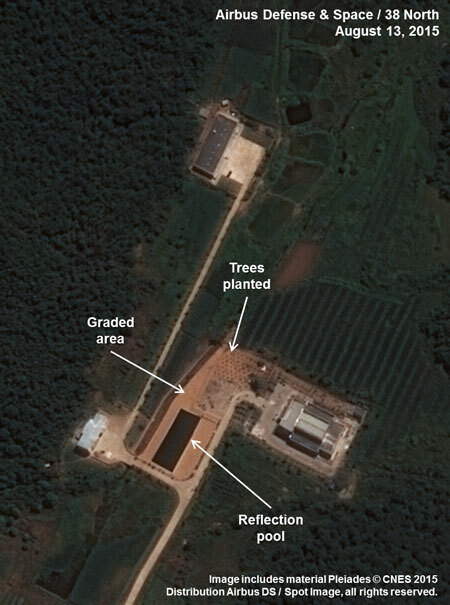 While there is no significant activity at either the launch control center or VIP housing, the August imagery shows a small beautification project underway in the area between the two consisting of grading and planting trees and the conversion of a perennial pond into a reflection pool. Figure 7. Beautification project underway at control center and VIP housing area.